Some upscale marijuana dispensaries look similar to winery tasting rooms . Santa Rosa, Calif.—Marijuana seems to be on everyone’s mind in Northern California. Last week, a cannabis trade show attracted 30,000 people to the Sonoma County Fairgrounds in Santa Rosa, and the week before, 3,500 people from the wine business attended the North Coast Wine Industry Expo in the same space. Many of them crowded a hall to hear panelists discuss cannabis and its impact on the wine business during a session titled “Wine & Weed” moderated by Tina Caputo, a freelance writer and former managing editor of Wines & Vines. “Competition from the cannabis industry isn’t only about labor, water and land. It’s also about tourism,” Caputo stated. The panel arose from last month’s election, in which California voters—and those in three other states, Maine, Nevada and Massachusetts—legalized the recreational use of marijuana. They joined Washington, Oregon and Colorado, where cannabis use is already legal. It is also legal for medicinal purposes in 28 states and the District of Columbia, though its use remains illegal under federal law. U.S. president Barack Obama’s administration suspended federal enforcement against the drug in states that legalized marijuana and regulate it, though president-elect Donald Trump’s proposed attorney general, Sen. Jeff Sessions of Alabama, is opposed to its use. Caputo quoted a Gallup Poll that shows admitted marijuana use nearly doubled since 2013, when 7% admitted to using marijuana compared to 13% this year. In Colorado, wine sales dipped briefly after recreational use was legalized but then increased, possibly buoyed by increased pot tourism. According to the Colorado Department of Revenue, excise taxes collected on wine sales dropped 1.5% from 2012 to 2013 after legalization, then rose 4.6% from 2013 to 2014, 2.2% from 2014 to 2015 and 3.1% from 2015 to August of this year. According to Gallup figures, more pot users are men than women, with 12% of men and 7% of women saying they use it. The largest age group of users is millennials ages 18-29. The next largest group is those age 30 to 49, of which 9% report using marijuana. The poll also found that 9% of users have annual income of $75,000 and up and 11% are college graduates. By comparison, 56% of wine drinkers are women, according to Wine Market Council and 36% of wine drinkers are millennials. Is California ready for cannabis tourism? With wine sales for smaller wineries increasingly dependent on direct sales that generally start with winery visits, the wine industry is concerned about the impact of weed tourism. Tour companies, industry associations and marketing companies are working to change pot’s image from counter-culture to mainstream. 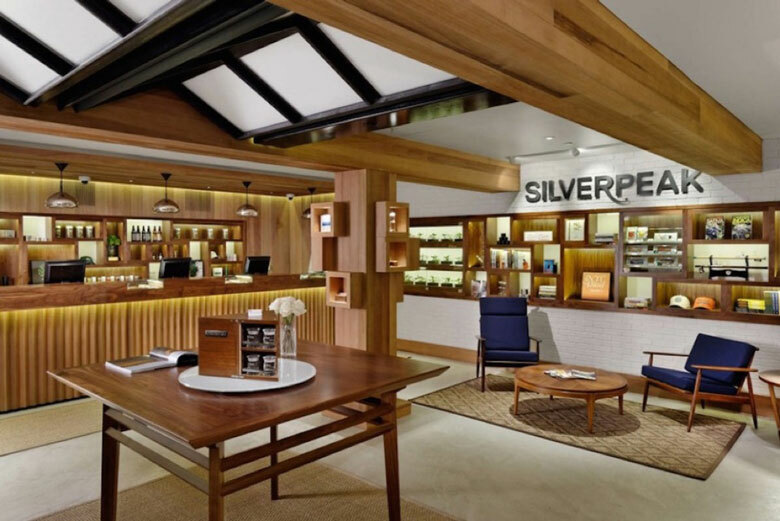 Upscale pot dispensaries look much like equivalent winery tasting rooms, though they don’t generally allow sampling (cannabis pairing dinners are popping up, however). In addition, organizations like Cannabis Industry PR & Marketing and the California Cannabis Industry Association already exist, as does Humboldt Cannabis Tours. To address these subjects, the panel included cannabis tour operators from Colorado and Oregon, where marijuana is already legal. Todd Roll is founder of Pedal Bike Tours of Portland, Ore., close to Oregon’s Willamette Valley wine region. Roll noted, “They’re similar to a lot of other tours.” He finds that he attracts a lot of millennials, though older customers are more interested in the medicinal properties of pot. The company also offers wine and beer tours. Cultivating Spirits started offering “wine-type” cannabis tours 2.5 years ago. The main cannabis pairing tour is four hours. It includes a cooking demonstration with cannabis and a three-course meal paired with marijuana and wine for $249. “We get a lot of seniors,” Wolf said. “They’re not concerned about their image or career like younger people might be. They come to Colorado for a safe environment to consume,” though he noted that they don’t want anyone to take pictures of them, and they won’t give testimonials. Another tour provider is Oregon’s Homegrown tour company, which combines weed and Willamette Valley wineries. Michael Brown is the vice president of consumer sales at Sokol Blosser Winery in Oregon, which opened its first wine tasting room in 1978. It now attracts 40,000 annual visitors who are very important to the winery’s success. He has researched the cannabis tours and dispensaries and admits that there’s a lot of overlap. The wine industry has significant experience in agriculture, production and hospitality that can help the cannabis business, he said. However, wine and weed don’t mix. Laws prohibit alcohol producers from selling cannabis. “You can’t sell weed in a tasting room or you’ll lose your license,” Wolf said. Rebecca Stamey-White, a lawyer and partner at Hinman & Carmichael law firm in San Francisco, Calif., said California has different rules for medicinal and recreational use, and the recent proposition that legalized pot for recreational purposes was written before some rules were established for medicinal use, so some questions persist. For his part, Wolf said he plans to be operating in California on Jan. 1, 2018, but he has received little encouragement from local tour companies. “Many are concerned about legal and other issues,” he said. Wolf noted that when cannabis was a black-market product, producers had to pay workers more—they paid no taxes, so they could afford greater pay. “Wages are dropping to what wineries pay,” he noted, but the business is growing fast and needs employees. That’s assuming the Trump administration doesn’t enforce the federal laws more strictly than the Obama administration has done.